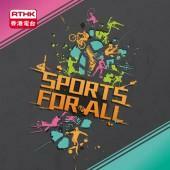 Type:VideoLanguage:EnglishCategories:SportsStatus:On going Description： “Sports are for all of us to participate in”. The general public is showing active support for elite athletes, who are devoted to advocating sports with a view to contributing to society with their expertise. The programme will invite outstanding athletes of various sports to schools and communities to instruct students and members of the public with professionalism. Through filming the course of training, which is a mixture of joy and hardship, in the format of a reality show, the programme enables the audience to have a taste of the challenges and fun of sports. We also hope that our audience’s sports knowledge can be enriched in the meantime of promoting sports in the community, so that “sports for all” can be materialised.